Imagine if Jesus lived in your neighborhood and you could bring your kids or your worries about your kids directly to him. Parenting by Faith invites you into the world of first-century mothers and fathers who did just that. Their ancient interactions with Jesus are instructive for modern parents. Discover the kind of faith that flourishes in the ups and downs of parenting. It s a faith that drives away fear and insecurity. Sometimes it s fragile. But it s always full of hope because it s rooted in Jesus. We interviewed 11 preachers who were students of Haddon and his Big Idea method of biblical preaching. We wanted to know how these preachers applied the central idea method in their particular pulpit ministries. The sermons are all from the Old Testament. They weren't written for the book. They were written in the midst of ministry, for a particular congregation. Some of these sermons were preached to congregations of more than 1,000. Others were preached in small country settings. A couple were preached in the realm of academia. All of the preachers wrestled with the biblical text, taking God's word seriously. They also gave serious thought to their audiences and relevant application. You can read the book one sermon at a time, much like a devotional. 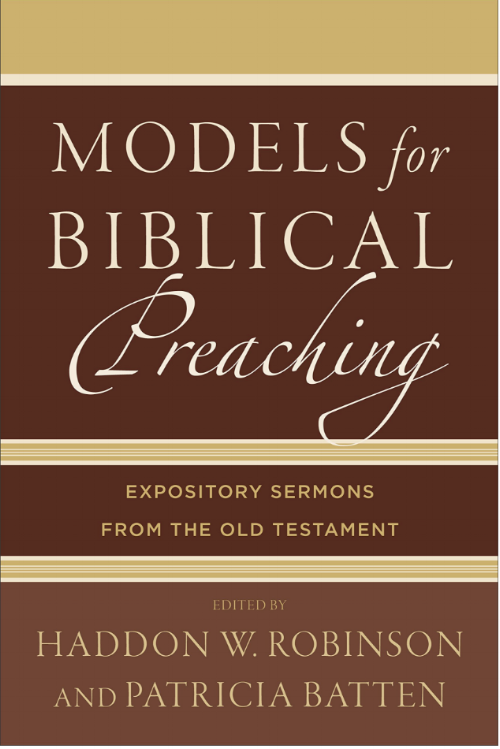 Or, you can read the book with the accompanying interviews to see how these preachers think about preaching. I hope you enjoy it. I hope you learn from it. I hope your love of God's word increases because of it.